​Pour vegetable oil 1/2" deep in a large skillet (not nonstick);heat over medium high heat to 350ºF. 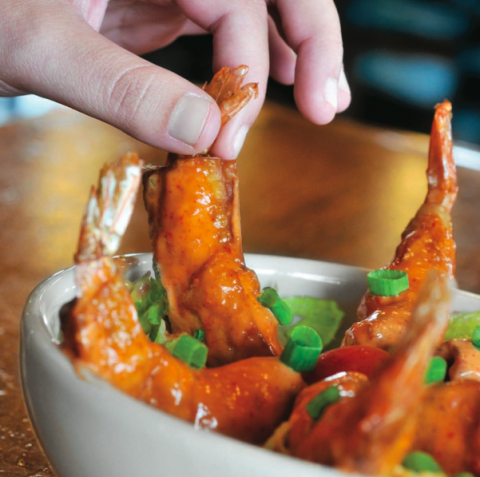 Fry shrimp, in batches, 2 to 3 minutes on each side or until golden; drain on paper towels. Divide lettuce into 4 cold salad bowls, top equally with chilled sauce and 6 warm fried shrimp. Serve at once.